A presidente municipal is the chief of government of municipios in Mexico. This title was also used in the Philippines under the Spanish and American colonization; it is comparable to a mayor of the town or city. The position is comparable to the county executive of a county in the United States or to the mayor of a city in the United States, although the jurisdiction of a presidente municipal includes not only a city but the municipality surrounding it. Nationally, this position is also equivalent to that of Head of Government of the Federal District and that is why these positions are sometimes referred to as "mayors" in English-language publications. Plurality voting is an electoral system in which each voter is allowed to vote for only one candidate, and the candidate who polls the most among their counterparts is elected. In a system based on single-member districts, it may be called first-past-the-post (FPTP), single-choice voting, simple plurality or relative/simple majority. In a system based on multi-member districts, it may be referred to as winner-takes-all or bloc voting. The system is often used to elect members of a legislative assembly or executive officers. It is the most common form of the system, and is used in most elections in the United States, the lower house in India, most elections in the United Kingdom, and Canada. Villa de Álvarez is a municipality in the Mexican state of Colima. The municipal seat lies at Villa de Álvarez. Chihuahua is a state in Northwest Mexico that is divided into 67 municipalities. According to the 2015 Mexican Intercensal Survey, Chihuahua is the 11th most populous state with 3,554,877 inhabitants and the largest by land area spanning 247,798.08 square kilometres (95,675.37 sq mi). Durango is a state in Northwest Mexico that is divided into 39 municipalities. According to the 2015 Mexican Intercensal Survey, Durango is the 23rd most populous state with 1,754,754 inhabitants but the 4th largest by land area spanning 123,575.36 square kilometres (47,712.71 sq mi). Durango has a population density of 123,575.36 square kilometres (47,712.71 sq mi) making it Mexico's second-lowest state by population density, after Baja California Sur. Hidalgo is a state in East Mexico that is divided into 84 municipalities. Zacatecas is a state in North Central Mexico that is divided into 58 municipalities. According to the 2015 Mexican Intercensal Survey, it is the state that has the 8th smallest population with 1,579,209 inhabitants and the 8th largest by land area spanning 75,539 square kilometres (29,166 sq mi). Tepezalá is a municipality and town in the Mexican state of Aguascalientes. The town of Tepezalá serves as the municipal seat for the surrounding municipality of Tepezalá. Las Minas is a municipality in the Mexican state of Veracruz, located 28 kilometres (17 mi) northeast of the state capital Xalapa. 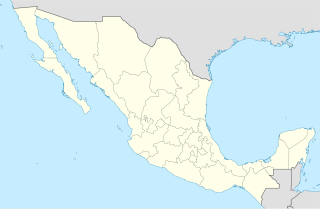 Tepetzintla is a municipality in the Mexican state of Veracruz, located 207 kilometres (129 mi) northwest of the state capital of Xalapa and 119 kilometres (74 mi) south of the city of Tampico. Citlaltépetl is a municipality in the Mexican state of Veracruz, located 223 kilometres (139 mi) northwest of the state capital of Xalapa and 99 kilometres (62 mi) south of the city of Tampico, Tamaulipas. Xoxocotla is a municipality in the Mexican state of Veracruz, located 103 kilometres (64 mi) south of the state capital Xalapa. Churintzio is a municipality in the Mexican state of Michoacán, located 104 kilometres (65 mi) northwest of the state capital of Morelia. 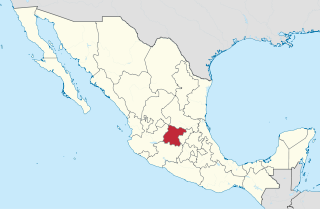 Cojumatlán de Régules is a municipality in the Mexican state of Michoacán, located 180 kilometres (110 mi) west of the state capital of Morelia. 1 2 3 4 "Número de habitantes". INEGI (National Institute of Statistics and Geography). Retrieved July 15, 2017. 1 2 3 "Unidad de Microrregiones, Cédulas de Información Municipal (SCIM)" (in Spanish). SEDESOL. Retrieved November 18, 2017. ↑ "Constitución Política de los Estados Unidos Mexicanos". Article 115, of 1917 (in Spanish). Retrieved September 27, 2017. 1 2 3 "Constitución Política del Estado Libre y Soberano de Colima". Title VII, Act of November 25, 2017 (PDF) (in Spanish). Retrieved January 1, 2018. 1 2 3 "Ley del Municipio Libre del Estado de Colima" (PDF) (in Spanish). Directorate of Legislative Processes, Colima State Congress. September 10, 2016. Retrieved January 1, 2018. ↑ OECD (November 12, 2004). New Forms of Governance for Economic Development. OECD Publishing. p. 121. ISBN 978-9264015326. 1 2 International Business Publications (2009). 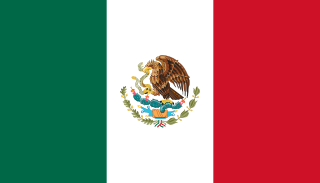 Mexico Company Laws and Regulations Handbook. p. 42. ISBN 978-1-4330-7030-3. ↑ Polo Martínez, Humberto (November 2012). Administración pública comunitaria y gobierno local en México: Las autoridades auxiliares municipales (PDF) (in Spanish). National Institute of Public Administration. p. 145. ISBN 978-607-9026-26-4 . Retrieved January 1, 2018. ↑ Organización Democrática del Cabildo (PDF) (in Spanish). SEDESOL. 2010. p. 13. Retrieved January 1, 2018. 1 2 Estado de Colima. División Territorial de 1810 a 1995 (PDF) (in Spanish). Mexico: INEGI. 1996. p. 67. ISBN 978-970-13-1491-3. ↑ "Tabulados de la Encuesta Intercensal 2015" (xls) (in Spanish). INEGI. Retrieved July 15, 2017. ↑ "Localidades y su población por municipio según tamaño de localidad" (PDF) (in Spanish). INEGI. February 28, 2011. Archived from the original (PDF) on August 14, 2018. Retrieved July 15, 2017. ↑ "Población" (in Spanish). INEGI. Retrieved January 20, 2018.